🔴 Is TBL’s Med Sci Believable? 🔴 Is The Blacklist’s Medical Science Believable? I just added this section to the 🔴 Deep Background “page” of this blog. Thinking it would be “lost” otherwise and not noticed, I am also posting it here as a blog entry. I found out that most of the medical science exists or at least appears to be feasible, if anecdotally. My guess is that the show has access to experts in addition to what the writers come up with. Nothing bothers me more than snarky reviews. Or reviews that seem intended to show how knowledgable the reviewer is rather than tell me something insightful about the show. So I thought I’d turn the tables and review the reviewers. 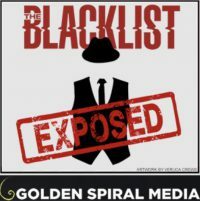 I found all The Blacklist season finale [2:22 Tom Connolly] reviews that showed up on the my first two Google pages and graded them for how helpful and insightful I thought they were. Maybe even more useful, I took at look at their internet sites and graded those, too. Here, I was looking for functionality as well as for organization and interest.